You've got to get to Tamworth in January for the annual Tamworth Country Music Festival from Friday 17 January to Sunday 26 January 2020. It’s Australia's largest music festival and one of the top 10 music festivals in the world. The variety of country music is endless during the festival with over 700 performers and 2,800 shows across 120 different venues. There are hundreds of buskers in Peel Street alone, providing a diverse range of entertainment each day – it’s no wonder we attract over 300,000 visitors across the 10 days! 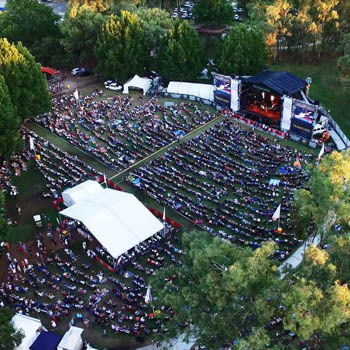 Tamworth Regional Council is a key festival organiser who provides the major infrastructure for the annual celebrations and works with various stakeholders to bring together the festival. Scores of industry and city partners play a huge role in presenting the festival line up each year and we thank them for their ongoing support. See our FAQ's or contact us for more information.